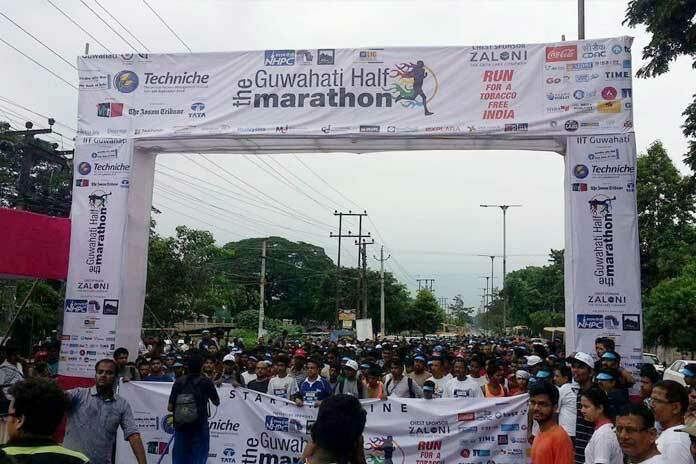 Stepping into its 18th year of unflappable technical celebration, Techniche – IIT Guwahati organised its 8th edition of Guwahati Half Marathon, a running event organised to promote a better social and human interaction amongst the residents in and around Guwahati. One of the largest events of its kind to be organized by a student body, the Marathon has evolved coherently over the years since its inception in 2009 to become the largest half Marathon in North East India.The marathon was initiated to provide a platform for people from different walks of life to come and spread their cognizance and sense of concern for a better society. The 8th edition of the marathon was successfully organized on 28th August 2016 with its theme “Run for Tobacco free India”. The Guwahati Half Marathon ’16 with its theme “Run for Tobacco free India” appealed people to be a part of the change which was for the prosperity of society. It appealed the people to become more responsible towards the issues of society like poverty, illiteracy, hunger, lack of development, inflation amongst others. Guwahati Half Marathon’16 gave everyone a platform to think about these issues and brought a little bit of change in the perception of the general public. Mr. Durga Boro who was the lead striker for North-east United FC in the ISL was the brand ambassador and coined flag of the marathon. Glory Run– The flagship race of the half marathon, it was a 21 km race which was meant mainly to quench professional runners’thirst.Participants from all around India participated in this category. 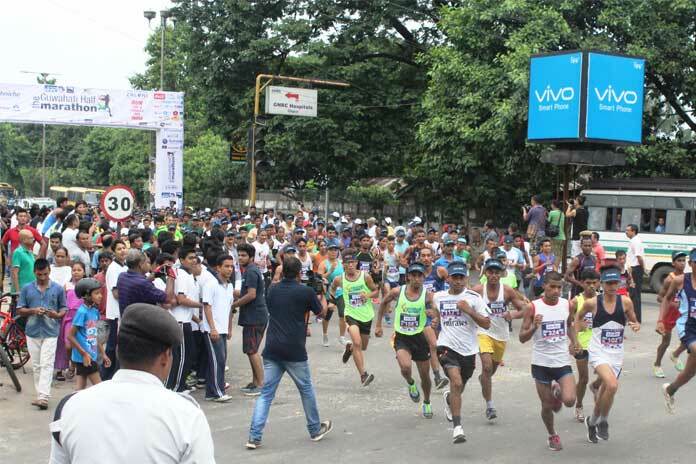 Spirit Run– It was a 6km race specially designed for the citizens of Guwahati. All age groups were participated in this event which encouraged all citizens to come together and run a race for the cause of their society. General Championship-This was an event exclusive for schools and colleges, where they battle was out for that one trophy of the General Championship. The top three institutes carried home the trophy and exciting goodies. Creativity Event–Many children, artists participated in a painting competition which was organised in tandem with the marathon.The competition wasa theme based one. The event started with the professional’s marathon of 21KM run in the morning at the Bhogeswari Phukanani Indoor Stadium, GNRC Road, Dispur which soon followed by the 6KM run for the general public. “It was very good to be a part of a student community, which always aims to bring social harmony in the society, this edition was definitely a good start for the removal of Tobacco in the society. We, team Techniche demonstrated various effects of Tobacco with simple science experiments in many of the schools and colleges of Guwahati, students were very interested and understood the side effects of Tobacco.” said by Revanth, National Events Coordinator of Techniche’16.